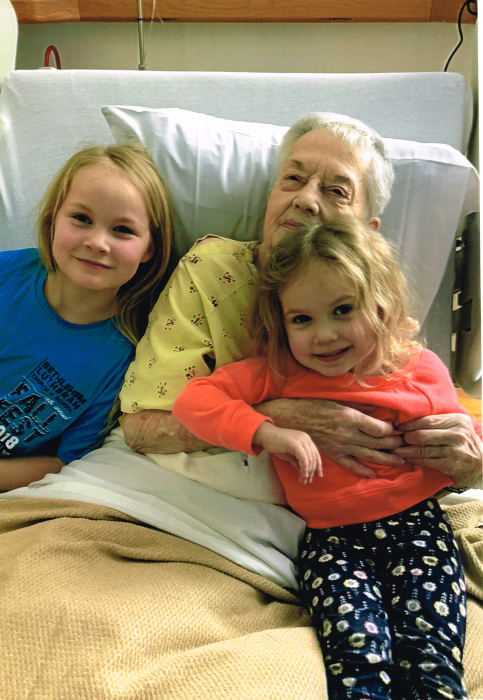 Berniece G. Walters 90, passed away peacefully at home on Wednesday, March 20, 2019 surrounded by family after a short battle with cancer. Born March 1, 1929 in Lincoln, Nebraska. She lived in Nebraska, Wyoming, California, Nevada finally settling in Washington in 1963. Survived by two daughters Shari (Don) Coffman and Shawn (Bruce) Defferding. Three grandsons Gerry and wife Tina Adams, Brent Coffman, Bryan Defferding and Heather. Five great grandchildren B. Kryssanne A., Sebastian C., Dominic C., Madelyn D., Alivia D., a special “adopted” daughter Karla B., numerous nieces and nephews and cousins. Berniece was a rambling rover, card playing, traveling, very independent and kind woman. Berniece worked as Secretary/Treasurer for Benton Irrigation District for years, Choir leader, Benton City Methodist Church, member of the Wednesday Card Players, Office help for the Ramblin Rovers where she enjoyed spending time with Audrey and Pauline. Travels to Cancun, Hawaii, Walt Disney World were just some of her adventures after her beloved husband and soulmate Eldon “Buck” G. Walters passed on August 30, 2003 after his battle with cancer too. Dedicated to the “lost art of reading” Mid-Columbia Library, Pasco Branch, was one of her favorite spots to see her library pals, Margaret, Micheala, and Doug. She so enjoyed those visits and friendship. A special “Thank You” goes to all of her home caregivers with Home Instead Senior Care who made her final days as comfortable as possible. In lieu of flowers those wishing to honor Berniece’s memory may contribute to Tri-City Chaplaincy, Kadlec Medical Center, Death with Dignity Tri-Cities, End of Life WA, or Home Instead Senior Care, Tri-Cities, WA.